Just weeks before New York-based Shen Yun Performing Arts is scheduled to perform at one of Spain’s major opera houses, the organizers were told that their show was “forced to [be] canceled” due to technical difficulties. But the organizers do not think this is the case. 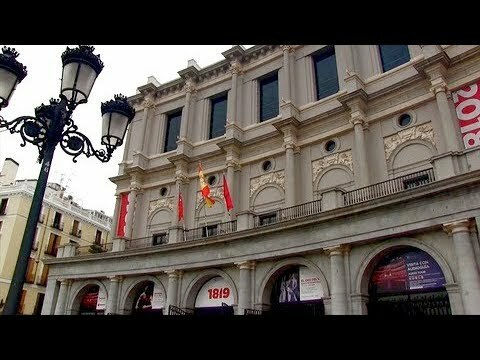 Royal Theater’s director sent a letter on Jan. 7 to Puro Arte Humano—the organizers of Shen Yun in Spain–informing them the performance has been canceled citing “unavoidable artistic needs of the stage space.” Shen Yun was set to perform at the Madrid theater on Jan. 31 and Feb. 2. The director said another show, Das Rheingold opera, that was performing the day before and after Shen Yun, would have difficulties dismantling their sets to accommodate the dance and music company. This was something the theater technical managers did not have a problem with at the time the contract was signed. Puro Arte Humano said in a press release the stated reason for the cancelation was not convincing and they suspect the real reason was due to Chinese Communist Party (CCP) pressure based on previous experiences. The organizers said the Chinese Embassy had pressured the Madrid Coliseum and the National Theatre of Catalonia in the past to not lease the venue to them. “If there is a technical problem you can talk to the technicians of the company and look for a solution,” she said. The nonprofit organization said that similar scheduling of the Paris Opera Ballet shows, which is performing in between Das Rheingold opera show dates a week before Shen Yun, was not a problem with the theater and the shows have not been canceled. Additionally, Gomez said the Royal Theater was actively improving its relationship with the CCP and had recently agreed to exchange shows with China. According to a press release, the theater signed a contract with Beijing’s National Centre for the Performing Arts in May last year to engage in the exchange of productions and co-productions of both theaters. Sources also told The Epoch Times that the theater’s general manager was in China on Jan. 14 and 15 this year. The Chinese leader visited Spain last November and met with Spanish Prime Minister Pedro Sanchez. Meanwhile, Gomez added that there has always been pressure from the Chinese Embassy to cancel the shows around the world. “[This interference] happens practically in every city that Shen Yun visits,” she said. For more than a decade, while Shen Yun tours the globe, it is not uncommon for the CCP to pressure Western theaters not to lease their space to the performing arts company or pressure them to cancel their shows. The communist regime has even sought to coerce Western government officials not to attend the performances or voice support for the company. Moreover, the CCP uses front groups, who gather outside the theaters around the world to hold up placards with propaganda slogans and hate speech, to disrupt theatergoers while Shen Yun is performing. The most recent example of this was at the Lincoln Center in New York.